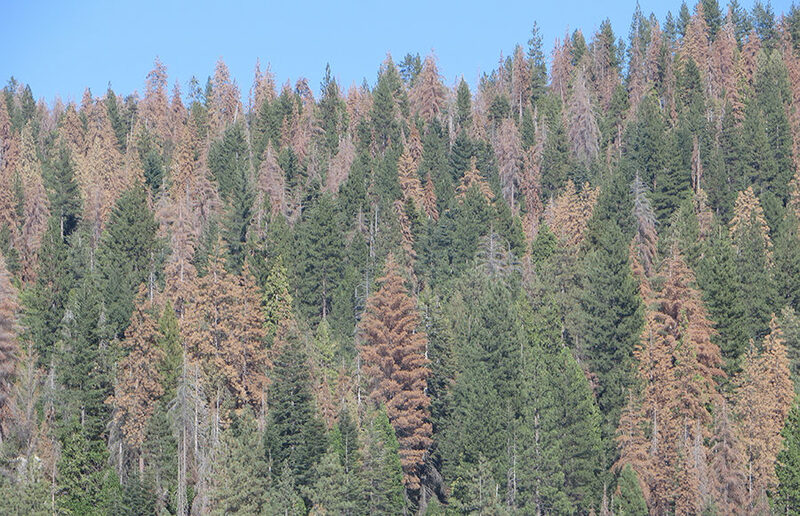 Fire experts, including two UC Berkeley researchers, published a study Wednesday that found that the 100 million dead trees in the Sierra Nevada could potentially increase the risk of mass fires in the next decade. The accumulation of dead trees creates a massive reserve of fuel for wildfires. The study, which was published in the journal BioScience, discusses the use of forest management methods, including mechanical thinning and prescribed fires, as fire prevention techniques to reduce tree density in forests and disrupt the conditions that fuel mass fires. 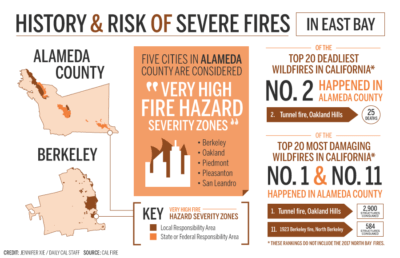 “I hope (the study) might give further information into the idea of just trying to address the overarching problem proactively,” said campus professor of fire science Scott Stephens, who co-authored the study. Stephens said dense tree populations, coupled with the current drought, create problems for individual trees, including competition for water and other resources. When these overpopulated forests die, they become conducive to wildfires. The study refers to prescribed burning and mechanical thinning as a few methods to remove dead biomass as a fuel source for high-intensity fires. This is achieved by removing or burning the smaller trees in a forest. According to study co-author Brandon Collins, a researcher at the UC Center for Fire Research and Outreach, these methods aid in preventing connectivity, a forest condition that fuels rapid and massive wildfires, between the dead trees. Large, open spaces between individual trees are critical for inhibiting the rapid spread of wildfires in forests, Collins said. 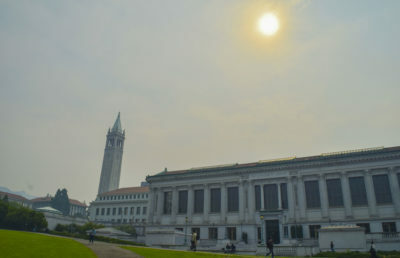 Bill Stewart, co-director of the campus Center for Forestry, said management techniques such as prescribed fires and mechanical thinning, or “logging,” have been the source of public controversy. Uninhabited spaces between individual trees are necessary, however, in order to build up the resilience of forests, Stewart said. Implementing low-density conditions in forests — that is, maintaining large, open spaces between individual trees — is an important aspect of fire management, Collins said. Low-density conditions prevent fires from spreading rapidly through forests, according to Collins. The vast majority of forests that haven’t been burned or been affected by the drought are densely packed, Stephens said, and are therefore vulnerable to mass fire conditions. The California Department of Forestry and Fire Protection, or CAL FIRE, has employed prescribed fires to decrease these conditions, according to CAL FIRE spokesperson Heather Williams. In 2017, more than 17,000 acres were treated with prescribed fires, Williams said. “With the research, we’re really glad to see that they’re supporting the method CAL FIRE (and) our partners are using,” Williams said. 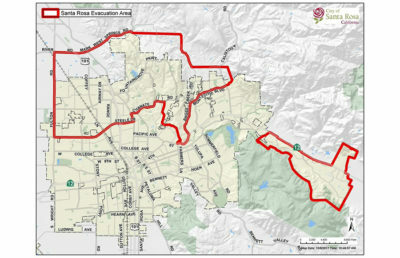 Williams said that CAL FIRE has increased year-round staffing, allowing the organization to employ more fire-prevention work. Adrianna Buenviaje covers research and ideas. Contact her at [email protected] and follow her on Twitter at @adriannaDC.